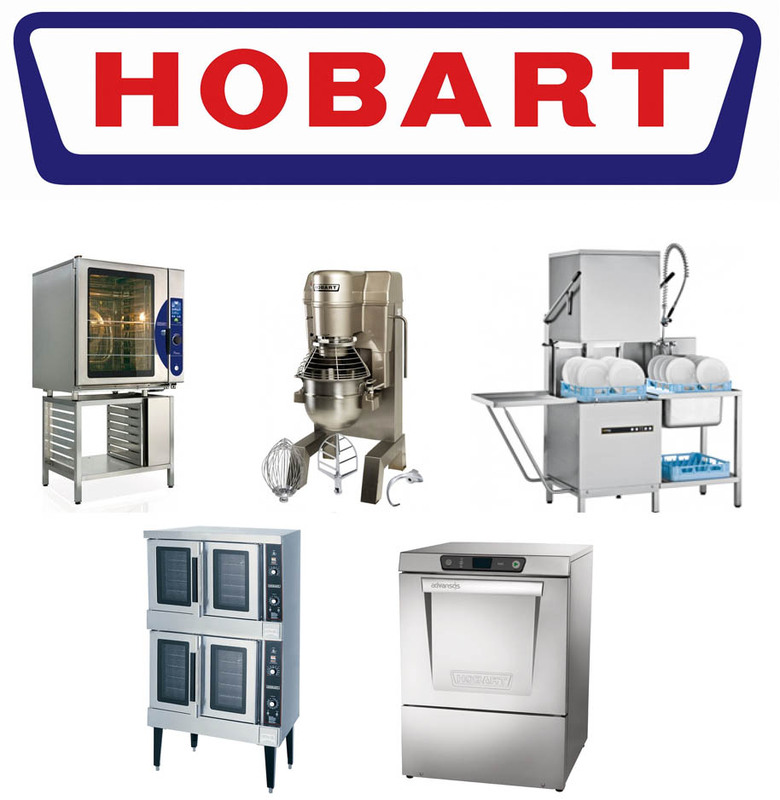 Hobart Catering Equipment, including; Warewashing, Cooking, and Food Preparation. Hobart offer a diverse range of catering equipment solutions. Their equipment is praised for its quality; winning awards and even being recommended by Marco Pierre White, who claims that he would have struggled to have achieve a second Michelin Star without his Hobart commercial equipment. Their products include warewashers, commercial cooking systems, commercial mixers, and food preparation equipment. If you are interested in what Hobart can offer your business, K.C.S. can give you the information for you to choose which equipment best suite your kitchen. Our knowledge of their products also allows us to provide servicing and repairs, improving your investments’ longevity and quality. Irrelevant of what Hobart equipment range you are interested in, K.C.S. should be your go-to catering equipment supplier. Our knowledge of Hobart’s products allows us to help you to find the ideal catering solutions for your business, and as a local business we can provide a personal service to our customers. Your equipment is an investment, and when a business has invested in high-quality equipment from Hobart it’s important it delivers the longevity and standard you initially invested in. K.C.S. can help maintain your systems, ensuring they retain their worth. When your kitchen relies on itsequipment being in optimal condition, it’s important that when a system requires repairs that you receive a prompt service. As a local business, K.C.S.’s repairs service allows us to be onsite at your workplace within 24 hours of your initial call*. If you are needing emergency repairs, do not hesitate to contact us.